A top-rated park w/ pull-thrus! Tucked away, but close to EVERYTHING. 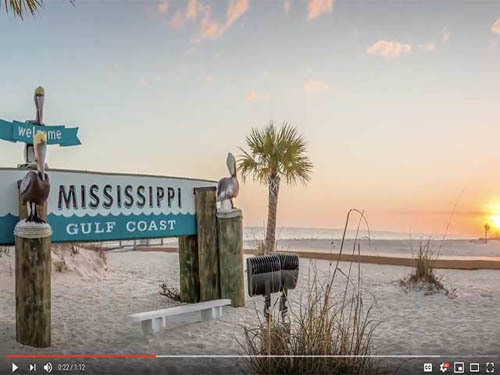 Visit the Coast & New Orleans: Casinos-Beach-Golf-Art-Shops-Dining. Recognized as "An America's Coolest Small Town". Perfect Summer Getaway/Winter Retreat! Wonderful people!! Off the beaten path with plenty of privacy. VERY pet friendly! Clean facities and grounds. Staff available and visible all the time. Excellent location. We loved it. Great stopover on our way home. Very friendly staff, clean and well kept park. nice dog run. we will come back. We only did a last minute overnight after some repairs. The owners were very accommodating when we called with an unsure timeline. We arrived just after office closing hours but they came right out, took us to our site, and invited us to a steak feed they were having. It’s a nice spot with plenty of room and quiet surroundings. I can see why people would use this for a snowbird sight. Have been staying here every winter for 7 years, usually 4- 4 1/2 months. We usually use a pull-through on one of the ends. Great place to stay longterm. This winter has been very wet, so there has been a lot of puddles in the gravel roads. This place is set back of the road and is somewhat quiet. Everyone is very friendly and the activities are fun. The new owners have already made some changes and plan to do more. Although we do not have pets, the new dog park is great to see used. We get together once a week to socialize and catch up on one another or announcements about the park. This campground is clean and well kept. They have great organized activities for the snowbirds. The community club house and attached shelter area with fireplace is really nice to sit around and visit with other campers. The shower house and laundry facilities are about the cleanest I have ever seen.The owners are constantly trying to improve the facilities. 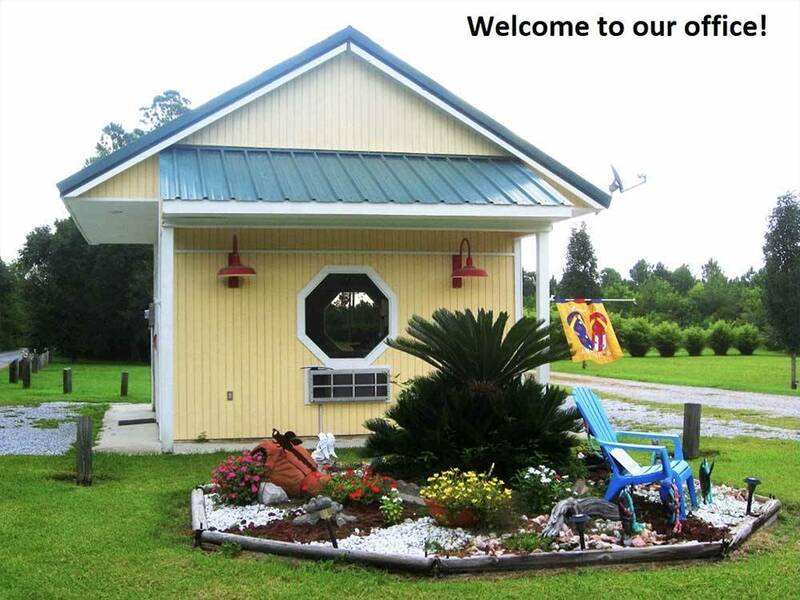 The campground is very close to shopping, gulf coast beaches and New Orleans. I plan to come back next winter. Excellent for retirees or anyone getting out of the snow for the winter. Owners have activities that you can choose to anticipate in or not. Everyone is very friendly and and small enough for a cozy community feel. First time here was 2008. Been here in a travel trailer, truck camper, motor home and a fifth wheel. The park is off the main road and surrounded by pine trees. The clubhouse is used for activities and once a month the owners cook up a great meal fior the whole park. There are only 40 sites, so it is a small friendly village where everyone knows your name. There are many activities you can sign up for, like visiting New Orlean, luncheons, bingo. Grocery stores and others are near by. Two casinos are close by and many others in Biloxi and Gulfport. The best things about this park it is quiet and very clean. Away from the hustle and bustle, I feel extremely safe here. I am here five months as a snowbird. Thanks for taking the time to review our park, we appreciate the feedback. We love our snowbird family and the fact that you came here for the first time in 2008, is really a testimony of the kind of park we have here. You have been a huge part in making this park a community and making all of the guests that have traveled thru over the years feel welcome and at home. We feel this is a pretty special place ourselves and couldn't be happier to share it with all of you. We especially appreciate how all of you long time returning guests welcome anyone that is new whether they are staying for the winter or passing thru for a few days, you treat everyone the same. We are blessed to have such a great group! This was our maiden voyage with our 27’ travel trailer and we also brought our Labrador with us. We drove almost 700 miles to be a snowbird and I think we are hooked and probably spoiled by our stay at Bay Hide Away. The recent addition of a dog park is awesome for the dogs to really stretch their legs and be off leash. The park is flat and a nice area to walk your dog or your own personal exercise, 2 laps is a mile. The bathhouse is clean as well as all the rest of the facility. The owners have activities scheduled throughout the week for the campers so it’s easy to get to know your fellow campers and learn about the best places to eat and visit. Everybody is very friendly and most are repeat snowbirds, so the owners are doing something right! The owners are very hands on and quick to give you a “hello” and make you feel welcome. The location is a short drove to larger cities, but this area is very quiet and relaxed while still offering lots of local antique shops to tour. The pool and playground look great as well. You can be as busy or relaxed as you desire at Bay Hide Away. Thank you very much for taking the time to review our park, we really appreciate it. We are thrilled that your maiden voyage of snowbirding turned out to be a good one and that Bay Hide Away was able to play a part in that. We feel that this is a special place and it is our guests that make that happen, they have really built a community over time and made this a home away from home. Whether they have been coming for years, or are newbies, stay a few weeks, a few months, or passing thru for the day, everyone is made to feel welcome and part of the family. There are no strangers at Bay Hide Away! We hope that you decide to return again and of course will welcome you with open arms! The new owners had just taken over 3 days prior to our arrival. This area had received a lot of rain thus every thing was wet and muddy. Could not step out of the coach or set up the "business" end of the coach without your feet sinking in the mud. We were supposed to stay 4 nights but got tired of dealing with the mud so left after 2 nights. The laundry room was clean and all machines were working. The bathroom/shower room was also clean. Would not say it was big rig friendly but the new owners made a comment as to things they needed to do to improve that. We probably would not return to this park. We were traveling from Panama City to Oklahoma stopped at The Hide away camp ground. On the way back too. Wish we could of stayed longer. We will be back. Every one their was so nice and helpful. Bathrooms were very clean,It is a great park. It is not far from the beach. Thank you so much for taking the time to review our park, we really appreciate the feed back. We are happy that you enjoyed your stay and hope that you do stop back for a visit and see some of the updates that we have made since you were here, including a large dog park. Safe travels, we look forward to your return visit! Not Big Rig friendly, rustic, tight roads., tight sites. I would rate a 6. Thank you for taking the time to review our park, we really do appreciate it. It may seem that our roads our tight because they are lined with trees, but all of our roads are one way and are 14' wide which is a sufficient width for all RV's on the road today. We have a 42' Class A with a car and are able to navigate the park without a problem. There are some trees around one curve on the end that you have to pay attention to, but a 45' rig can make it pulling a Suburban. Our sites are 30' wide from pedestal to pedestal and some of them are 80' long sometimes because they are long, they seem to not be as wide as they actually are. We haven't had an RV that we couldn't put in our park because it was too long. Again, thank you for visiting and taking time to rate our park. Safe Travels! I should preface my review with the fact that there has been a lot of rain and the campground is very wet. I am sure that in better weather, this would be a more pleasant campground. We have a dog and I am not enjoying taking my dog out and trying to find somewhere where he does not have to stand in mud or water to do his business. I see that they have tried to give this park some personality and appeal. There is disc golf and a cute light house. But, the standing water and mud are miserable. We stayed 2 nights while visiting family in the area. The staff was helpful. A man led us to our site. We did not use the restrooms. The wifi is very slow and there is no cable TV. Channels available over the air are fair. Some of the stations break up, while others have strong signals. I understand that the whole area has drainage issues in the rain, but it still does not help me like being in standing water. Thank you for taking the time to review our park we really appreciate the feedback. We are sorry that the water was an issue while you were here. Sometimes it just rains ducks and chickens and causes "foul" weather. ) We are at a 13' elevation and generally when it does rain in this part of the country, it just rains a lot all at once and it takes a couple of days to drain off, that's just the nature of the beast. The good news is that we have 260 days of sunshine a year and we would love to invite you back to visit the park another time so that you can experience some of our amenities, including our newly added dog park. Thank you again for the review. Safe Travels! Patty & I stayed the month of February & absolutely loved our stay. There were many RVers that were there for the winter & they were friendly & welcoming. The owner & his wife bend over backwards to make sure that your experience is great. We had a back-in site & were very pleased with it (site 32) Being new to extended RVing I found staff & neighbors extremely helpful with any problems. The park is very clean & the bath house was a great place for getting a hot shower in a clean place. The park is far from the road & very quiet. We plan to go back next year. They were wonderful. This was our first time staying here. We throughly enjoyed our stay. The grounds are well manicured, the owners are extremely nice and helpful. We didn't use/see restrooms so we couldn't rate it but by the looks of everything else, I'm sure they were excellent. We plan to stay again soon and drive over to New Orleans. Just wish they had cable tv.. This is a beautiful RV park. The owners are very friendly and helpful. Our only concern is the gravel roads into the park are very narrow. With a big RV you need to be careful manuvering to your spot - but you can get there. The owners keep the trees and bushes trimmed and the gravel road maintained well. The pads are gravel, but very level. While it was too cool to swim, the facilities and the pool look great. We definitely would stay here again. We have a 33' fifth wheel and stayed here 7 nights because we wanted to explore New Orleans about 40 minutes away. The owners are very friendly and inviting, and included us in the various activities (trip to horse track, bingo). This small park is clean and neat, but the gravel sites and roadways needed work, especially since the rain is very slow to drain. The laundry facilities are good and the meeting room and fireplace patio are nice. Pool not heated. No cable, but the price was very reasonable. We have been camping at this campground for over 8 years and have enjoyed ever time we have camped at Bay Hide Away. Great people and very friendly. Great clean, roomy sites. No cable TV. Well manicured park. Very friendly staff. I would like to start off by saying the couple that runs/owns/manages this campground were wonderful people, and treated us very well. We had two campers traveling, and they did provide us with two pull-through sites which was huge after traveling all day. We were a little disappointed that the sites were a gravel material, and there are hard gravel roads leading to the sites which made it really nasty when it rains. I know we can't control mother nature, just trying to set the right expectations. Rates were a little high, our opinion, after staying at the same rated Good Sam campgrounds during our trip. There is no cable TV, for example. The pool and bathroom facilities were top notch, in our opinion. This campground is really quiet, which was another huge plus ! People around us were very nice. Ideally located between Biloxi & New Orleans, just 4 miles from the beach. Enjoy the feel of a campground tucked away from it all, but close to everything. Pool, playground, clubhouse, campfires and activities on site.